Last week, Lynsi Snyder -- the extremely private billionaire CEO of beloved California Double-Double emporium In-N-Out Burger -- gave a rare, in-depth interview to Forbes, during which she talked a bit about the company’s history, her own past, and the chain’s reasoning behind keeping the menu simple. 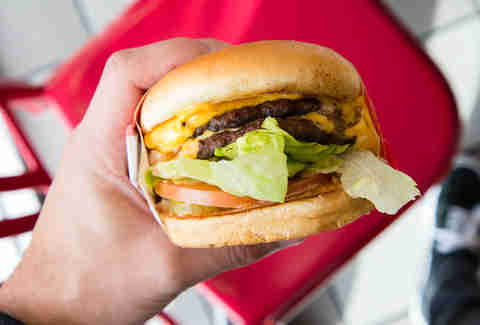 According to Snyder, the brand is making a slow push to open in Colorado, setting up a regional HQ, which is kind of a big deal: See, In-N-Out has its supply chain and quality control on lock, and won't open a new restaurant unless it's less than a day's drive from a warehouse. This news is likely to perk up folks who have long dreamed of having an In-N-Out in their own towns. After all, the company has this decade begun slinging mustard-grilled burgers in Texas and Oregon, the latter of which prompted pilgrimages by Portland food nerds who made the four-hour drive to Grants Pass when In-N-Out opened up shop. If In-N-Out opens up in Colorado and follows its strategy of firing up the grill in off-highway locations along the travel arteries of the US highway system, logic would dictate that the expansion will continue. Double-Doubles in Wyoming! Nebraska! Kansas! The hope for true believers is that this points to an Animal Style wave, with In-N-Out trailblazing an eastern expansion that will see them march toward the Atlantic, eventually caravanning to Shake Shack's home turf. Well, the Forbes interview giveth hope, and it taketh it away. So, sorry, friends in Spearfish, South Dakota. In-N-Out isn’t coming for you. And this is actually a very, very good thing. 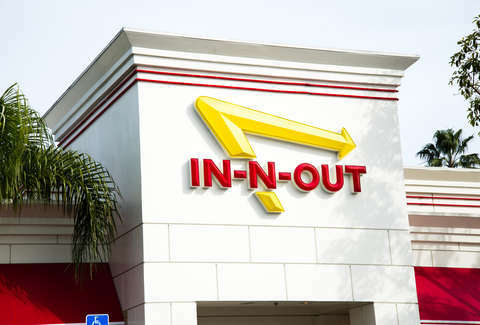 Business sense aside -- though In-N-Out has plenty of that, transforming 333 privately held locations into a billion-dollar business that outsells the Golden Arches locations with ease -- a lack of ubiquity for In-N-Out actually makes the chain somehow better. Because half of the appeal of In-N-Out is its limited availability, which makes it something of a bucket-list destination for those whose base knowledge of it is limited to Big Lebowski fandom or hearing folks who have spent time in California wax nostalgic. A majority of visitors to Southern California will put waiting in line to utter an incantation from the storied not-so-secret menu to a paper-hatted, well-paid drive-thru attendant up there with seeing the Hollywood sign. But it’s not just a special occasion for visitors: Locals, too, will drive out of their way on the regular to get their hands on a Double-Double, and that seems to be by design. It’s not by chance that in LA’s city limits there exists only one In-N-Out. Sure, there are locations in LA-adjacent places like Glendale or Pasadena, but for folks in the city, getting there means braving heavy traffic and waiting in line. And they do. And for city dwellers, that’s managed to make In-N-Out something special for generations. Taking a trip to the coast? Stopping at In-N-Out is a family tradition. Road-tripping to Yosemite? In-N-Out will rise out of the scorched, cracked earth off the highway like some sort of American cheese-covered oasis. Even for those who aren’t fans, the sight of an In-N-Out is at the very least a sign of comfort, and that’s the wonder of what the company has built. I personally find In-N-Out to be mediocre at best, but when I come around a mountain pass and see that distinctive yellow and red signage, I almost always consider stopping. More than any other company, In-N-Out has developed a way to psychologically transfer other people’s nostalgia to folks who have no memory of waiting in line with their parents after church. It’s kind of magic: A restaurant that would otherwise be considered on league with any other Turnpike rest-stop chain has become the kind of place that feels like a special every time, even if that special occasion is asking for well-done fries a few miles down the highway from home. That’s impressive, but it’s also something that would go immediately out the window if In-N-Out strived for prevalence of the McDonald’s variety. Throwing 100 or so in the heartland would make sense -- it’s cattle country, after all, and the supply chain and straight-line highway stretches would make the area ideal for In-N-Out dominance -- but it would also water the allure down, even if everything about it remained the exact same. It would just become another chain in the ether, and that’s not what In-N-Out is about. Something seemingly special would suddenly just become something sandwiched between Arby’s and KFC at a truck stop. They’d likely be very successful, but that’s kind of beyond the point, and doesn’t seem to be a huge priority for a chain that manages to be extremely profitable while keeping it humble. It might also be the straw that finally breaks the cult’s holier-than-thou back. Exclusivity breeds love in many minds, and seeing In-N-Out pop up in Midwest or New England could spark backlash among food nativists who don't like to share. People will go to bat for something they love that other people can't get. But when everybody can get it, those same folks will turn up their nose. It's the same thing that causes people to get uppity about seeing deep-dish outside Chicago, or beer lovers to turn their back on a brewery that opens up a production facility across the country. “In-N-Out’s not as good as it was before it started selling out in New Jersey,” it’s easy to imagine a former true believer saying while housing a Shackburger across the street from their old In-N-Out. Even if nothing had changed at all. Because at that point, it wouldn’t be something you could only get in a place with palm trees or mountain views. It would just be fast food, and the nostalgic attachment -- so key to In-N-Out’s unstuck-in-time vibe -- would suddenly fade as the old standby became a cool new restaurant in a land far away. In-N-Out has built a mystique by reminding us all of a bygone era, one when getting a decent, cheap burger with a little flair and minimal accoutrements meant something and took a little effort. 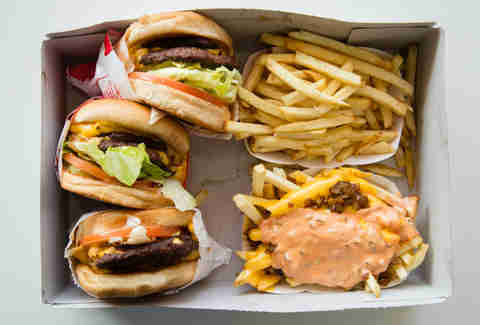 You can definitely get better, fancier burgers now, but the side of nostalgia -- secondhand or otherwise -- or the experience of finally tearing into a paper sack full of Animal fries after a period of longing is something In-N-Out has cultivated for generations. That more or less makes In-N-Out bulletproof. Keep hoping for that expansion. Your longing will add a dash of psychological seasoning to those famously limp fries. And that's saying something. Senior editor Andy Kryza regularly drives past an In-N-Out to get to Shake Shack. Follow him @apkryza.